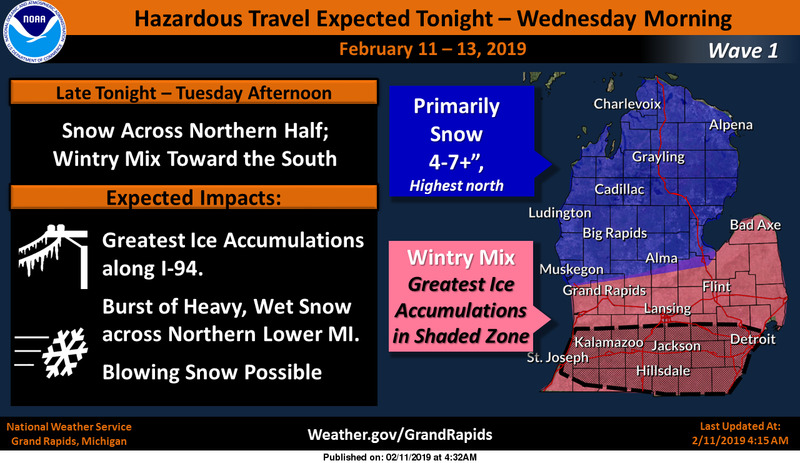 Winter weather will have an impact on the entire state of Michigan this week, but it'll differ depending on where you live. We are all under a winter weather advisory starting at 1 a.m. Tuesday and going all the way through Wednesday morning. The threat is for dangerous conditions from freezing rain and sleet to accumulating snow. The first round of wintry weather will start after midnight tonight and last through Tuesday afternoon. A wintry mix is expected across the southern half of Lower Michigan with ice accumulations possible along I-94. 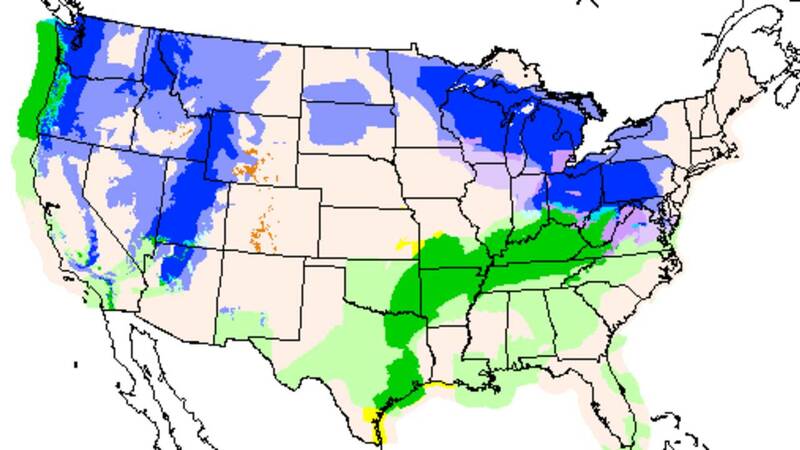 Snow is expected across the north with 4-7" (locally high) possible. Areas of blowing snow are also possible with winds out of the east gusting to 30 mph. The second round of wintry weather will start Tuesday evening and last into early Wednesday morning. All snow is expected, with strong wind gusts in excess of 40 mph leading to areas of blowing snow and at times zero visibility. Downed tree limbs and power outages are possible along I-94 where ice accumulated earlier in the day. The heaviest snow totals are expected along the Lake Michigan shore line and along I-94. 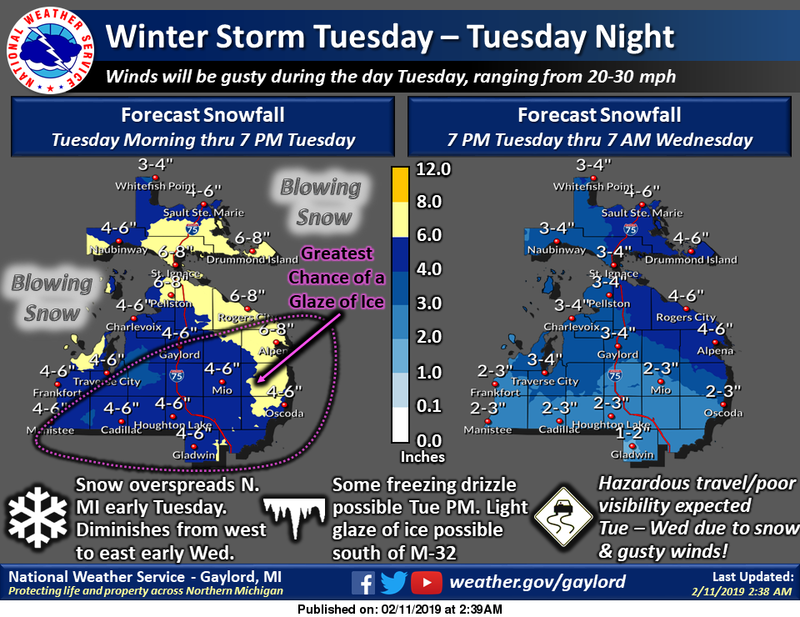 A winter storm will move through the region early Tuesday through Tuesday night, bringing significant snowfall to much of northern Michigan. Gusty winds leading to blowing/drifting snow and some light freezing drizzle also expected. 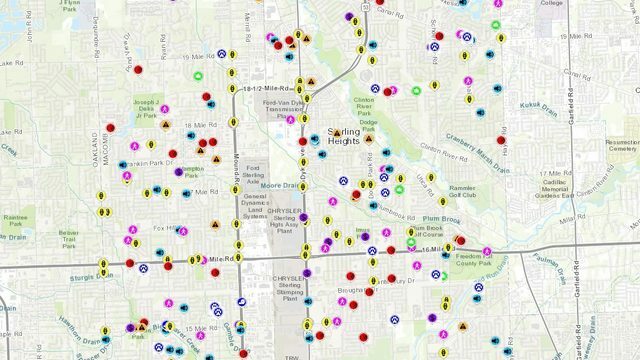 Hazardous travel expected during this time frame! Other than a few flurries, weak high pressure moving over the region will result in mostly dry conditions and seasonal temperatures today.